AVO would like to announce a new, richly-illustrated online publication that describes the volcanic geology and geochemistry of one of Alaskaâ€™s most spectacular volcanoes, Aniakchak! 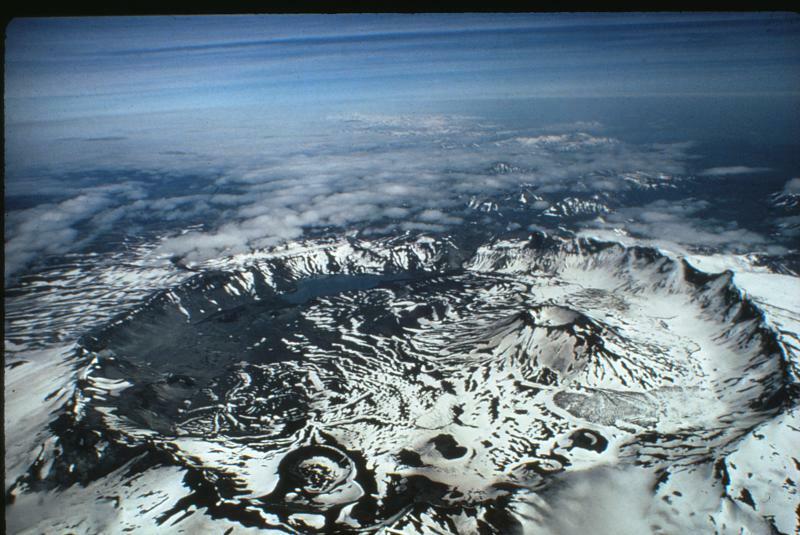 The USGS has just released Professional Paper 1810: Postglacial Eruptive History, Geochemistry, and Recent Seismicity of Aniakchak Volcano, Alaska Peninsula. The report presents what is known about the recent eruptive history of this large, explosive volcano and interprets a large geochemical data set and recent seismic data collected by AVO to present a model of the Aniakchak magmatic system. The full citation and web link to find the PDF copy of both the report and data tables are here. Bacon, C.R., Neal, C.A., Miller, T.P., McGimsey, R.G., and Nye, C.J., 2014, Postglacial eruptive history, geochemistry, and recent seismicity of Aniakchak volcano, Alaska Peninsula: U.S. Geological Survey Professional Paper 1810, 74 p.,http://dx.doi.org/10.3133/pp1810. Senior author Dr. Charles Bacon is a Senior Research Geologist Emeritus with the U.S. Geological Survey, Volcano Science Center, in Menlo Park, California.